Flying Wild Hog's Shadow Warrior 2 has been out for a couple weeks now on PC. In that span of time, sales for the title are nearly quadruple that of the original that was released in 2013. We chalk it up to the inclusion of co-op this time around. The Polish development team has continued working on the title even after its release and have some free content lined up. The first of these will be adding the infamous katana from the first game, the Nobitsura Kage, to the world. Future content updates will include new missions, weapons, and items, as well as a new "ultra-hard challenge mode." 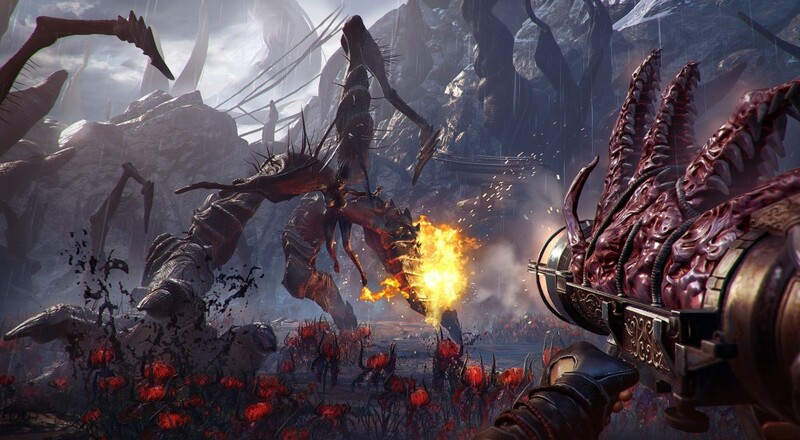 The team also released a "behind the schemes" video in which they discuss Shadow Warrior 2's development and what influenced them. I'm always a fan of these videos as the thought processes and efforts that go into making games has always fascinated me. Shadow Warrior 2 is available now on Steam for $39.99 and supports four-player online co-op throughout the campaign. It is slated for release on the Xbox One and PlayStation 4 early next year. Page created in 0.4532 seconds.